Why People Like to Backup iPhone SMS? Text messages are taking over and sometimes they’re replacing phone calls and e-mail in the daily life and work. So the texts on your iPhone are now one of your most important forms of communication to your friends, family, loved ones and coworkers. Sometimes, you may like to keep some special messages on the iPhone that you don't want to loss: maybe it is a funny joke from a friend and you're going to send it to others; or maybe it is a vital business message and you need to make a backup of the text for legal purposes... Since to these various purposes, iPhone users prefer sync their iPhone 4S/5/5C/5S/6/6Plus to iTunes and leave a backup file on the desktop computer to avoid data losing on the device by accident. We all know that iPhone backup files on the computer are unreadable, and it can be restored to your iPhone at one click. However, when there is a need and you open the folder on your computer where the backup files are stored, only to find that the file is unreadable, let alone extracting data from them. How disappointed you are!! Well, cheer up! Don't be so blue. Here, a professional iPhone Backup Extractor software named MobiKin iPhone Backup Extractor (Win/Mac) is strongly recommended here. 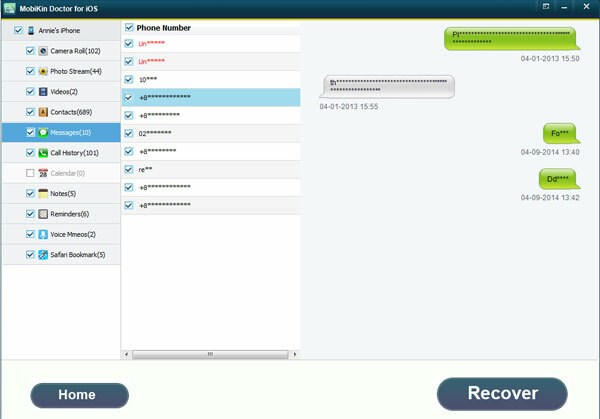 The program can work well as the best iPhone SMS Extractor program. It can scan the iTunes backup files completely, and extract them to your computer in friendly & readable documents. What's more, the program can be compatible with all models of iDevices, so that you can use it to extract all kinds of files you wish from the backup files on a computer as you like. And it can help you extract files like messages, contacts, call history, photos, voice memos, etc. from iPhone backup selectively or in a batch. Now, click the below icons and follow the steps to have a free trial! 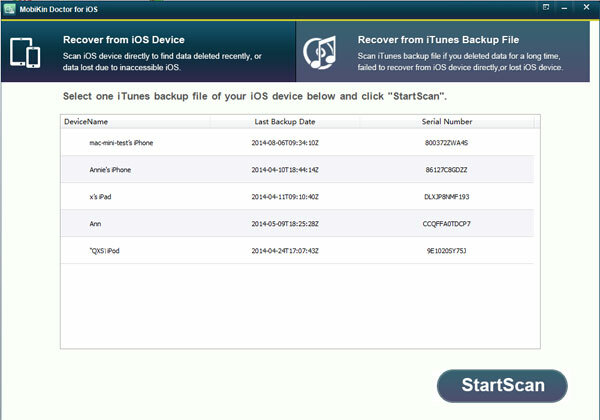 First of all, run this grogram and select "Recover from iTunes Backup File", then you can see a series of the devices that ever synced with iTunes on your computer have displayed in the program, among which you should choose the one of your iPhone backup. Then press the "Start Scan" button. 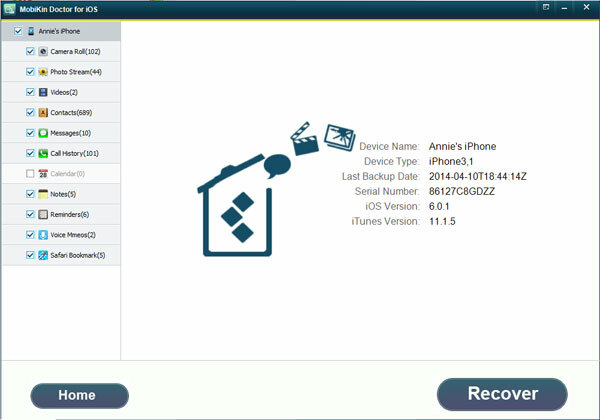 Wait for a little while, and when the scanning is finished, you can see an interface just like below: Files on your iPhone backup have been divided and listed in the left panel. Then, check the option of "Messages" in the left panel and then you can preview the detailed text conversation in the right panel as you like. Mark the messages you wish to extract and then hit "Recover" button to extract and save them on your desktop computer with one click. Above is the detailed steps of using iPhone SMS Messages on Windows computer. If you're Mac user, you can get the Mac version and follow the same steps by yourself now!